China's President Xi Jinping speaks during a 2016 U.S.-China dialogue. China doesn’t seem to be offering much more than it already has. Will that be enough for Trump? According to a brief statement from the Chinese Commerce Ministry, the two sides held an “extensive, in-depth, and detailed exchange” on trade issues, including structural factors. That statement added that the consultations had “established a foundation” for solving the most pressing issues. At a press conference on January 10, Commerce Ministry spokesperson Gao Feng said the talks had been “solemn, earnest, and candid,” as reflected by the fact that the dialogue was extended by a day. He added that China and the United States would “maintain close communication” on a potential next round of talks. Notably, in Thursday’s press conference in Beijing, Gao avoided verifying some of the specifics of the USTR press release, including the promise for China to purchase increased amounts of U.S. goods as well as the specific list of issues covered. Given the results of the talks, reports of optimism on both sides suggest that Washington may be willing to settle for a deal that mostly involves addressing the trade deficit by increasing U.S. exports to China. There’s little indication of any progress on larger structural changes, including China’s heavy-handed push to promote native-born champions in high-tech industries. As Hu Xijin, the editor-in-chief of China’s Global Times newspaper, noted on Twitter, trade issues were addressed “most smoothly.” On issues involving “structural changes and cyber security… China accepted parts that are in line with its reform, but rejected requests that harm its national security.” Or, to use President Xi Jinping’s words from a speech in December, “We will resolutely reform what should and can be reformed, and make no change where there should not and can not be any reform.” Unfortunately, China’s definition of what “should not and can not” be reformed has always included precisely the areas of most U.S. concern. The indication that some progress was made on trade issues but not on structural ones would help explain why it was the United States’ agricultural representative at the talks who characterized the discussion as “a good one for us.” Chinese pledges to increase U.S. imports would naturally center on a boost in agricultural products sent to China. 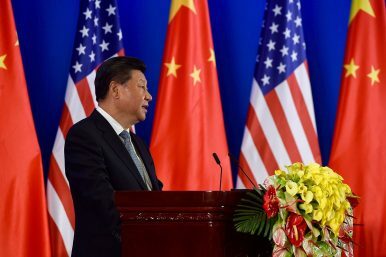 However, U.S. Trade Representative Robert Lighthizer – who was not present for the talks, but who is tasked with overseeing the negotiating effort – has long emphasized a harder stance on the trade issue, one that would necessitate real Chinese action to reform its state-centric economic approach. Lighthizer’s stance was clearly evident in the USTR press release, which emphasized both structural issues and the need for “complete implementation subject to ongoing verification and effective enforcement” of any eventual agreement. To Lighthizer – and thus the USTR office – China’s promise to buy more U.S. goods is of less interest than the need for “structural changes.” That throws into doubt the possibility of a trade agreement based largely on Chinese promises to raise U.S. imports. Such an agreement, indeed, was previously reached in May 2018, when U.S. Treasury Secretary Steven Mnuchin announced that the trade war had been put “on hold” thanks to China’s pledge to “significantly increase purchases of United States goods and services.” But just days later, President Donald Trump overruled Mnuchin by announcing plans for 25 percent tariffs on $50 billion worth of Chinese imports. With the clock ticking down to March 1, when the 90-day trade truce expires, the tug-of-war within the Trump administration over what would constitute success may be even more important than talks with the Chinese.